Got Crickets? Alex Drysdale is the founder of Crik Nutrition, a company that sells protein powder made with crickets (yes, the insect!). When Drysdale launched his company in 2014, he planned to get a loan to fund startup costs. However, since he had a unique product, he opted for crowdfunding instead. Drysdale launched a crowdfunding campaign on Indiegogo.com and ended up raising $16,428 from 191 backers in 22 countries. The support of so many people from such different places showed Drysdale that he had a viable product. The money allowed him to fund his first inventory order debt-free. Most of his backers received protein powder sample packs or tubs of protein powder in exchange for their contributions. Crowdfunding is when many people contribute small amounts of money to your business to fund a product launch, an inventory purchase, or some other project. According to Huffington Post, there are over 2,000 crowdfunding platforms worldwide. Data from Fundable, one of those platforms, shows that the average small business raises $7,000 through crowdfunding, and the average length of a crowdfunding campaign is 9 weeks. When you visit a crowdfunding site, you post a campaign telling people a little bit about your business, the project that you’re trying to fund, and how much money you’re trying to raise. People can view your campaign, and if they wish, make contributions. Crowdfunding platforms make money by charging you a fee when you raise money. This may be a small percentage (usually 5 %) of the funds you raise or a flat monthly rate. There are also credit card processing fees of 3-5 % that are charged when people contribute to you with a credit or debit card. When you’re done raising money, the money is transferred to your account. Who’s It Best For: Early-stage businesses that want to raise less than $100K within a couple months. 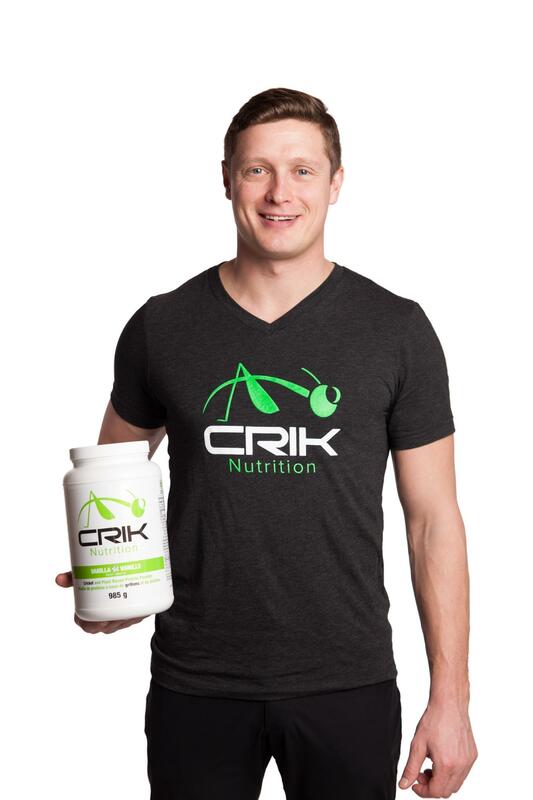 Alex Drysdale, founder of Crik Nutrition, raised over $16,000 by crowdfunding on Indiegogo. Reward crowdfunding is the most common type of crowdfunding. In this type of crowdfunding, you visit the crowdfunding site and list an offer containing information about your business, the project you’re trying to fund, and your funding goal. Most anyone who is 18 years old and lives in the US can use a reward crowdfunding site. The people who contribute money to your business are called “backers.” In exchange for giving you money, you must give your backers some kind of reward. Typically, the higher a backer’s contribution, the better the reward he or she gets. For example, Drysdale of Crik Nutrition started by simply offering thank you’s to his smallest backers. However, he rewarded people who gave more with sample packs of his product, company branded clothing, and even full-size products. Startups that sell consumer products and visually appealing products are generally most successful with reward crowdfunding. Campaigns can last up to 60 days on most platforms, but those that last 30-39 days or less are typically the most successful. Gains your business a following that will hopefully stay with you as your business grows. The same backers may support you in future crowdfunding campaigns. Doesn’t work for all businesses – B2C businesses with a product that is visually appealing are most successful. Think tech gadgets, apparel, crafts, and food and beverage products. Most crowdfunding sites, with the exception of a few like Indiegogo and RocketHub, are all-or-nothing. This means that if you don’t meet your funding goal, you don’t get to keep any money that you raise. Who It’s Best For: Startups and established businesses that want to raise more than $100,000 over 2-3 months. 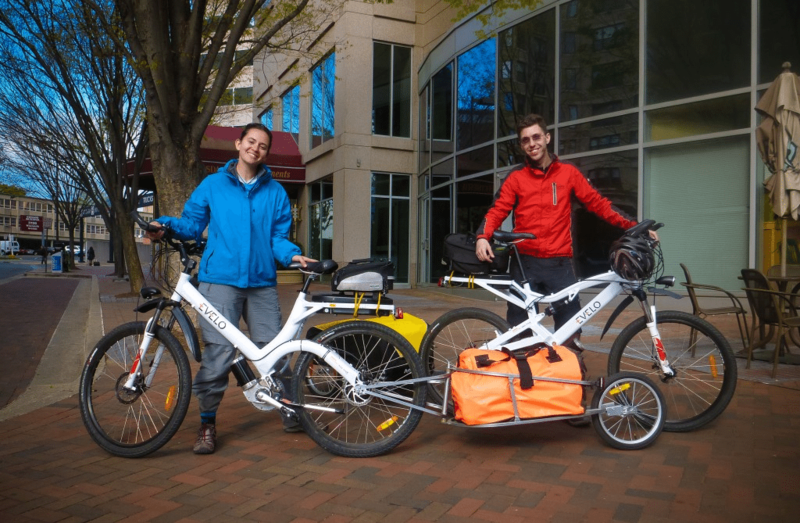 Evelo staff members with their bikes. Evelo raised over $750,000 through equity crowdfunding site SeedInvest. With equity crowdfunding, you don’t just give a small reward to your backers. You give them ownership shares in your business. Your backers are investors in your business. Until recently, only accredited investors (those with at least $1 million net worth or an income of over $200K/year) could invest in businesses through equity crowdfunding platforms. However, Title III of the JOBS Act, which takes effect on May 16, 2016, allows anyone to invest in a business through equity crowdfunding. This is potentially a big game changer, because it widens the pool of potential investors for your business. Compared to reward crowdfunding, there are more rules and regulations that you have to follow with equity crowdfunding to make sure you don’t get fined or violate any laws. The crowdfunding platforms will help you with some of this, but you should make sure you know the rules too. For example, you must be a corporation to be eligible and must disclose certain financial data to the Securities and Exchange Commission and to investors before you can raise any money. Here’s a good article with more details about the rules you have to follow to equity crowdfund your business. While not required, you’ll also need a good pitch deck (similar to a business plan) to share with investors. How does this compare to your business’ full valuation? For example, if your business is worth $500,000, and you need to raise $300,000, investors will own 60 % of the business. That’s a large chunk of ownership, so investors may exert a significant level of control over the day-to-day operation of the business. The valuation is the estimated value of your business at the time of the investment. Click here for a good guide on how to value a small business. How fast do you want to raise money? Because of more regulation, equity crowdfunding typically takes a bit longer than reward crowdfunding. Equity crowdfunding campaigns typically last 1-3 months. Startups are typically best suited for equity crowdfunding. However, if you have an established business, you can still try equity crowdfunding if you’ve had trouble raising money through venture capital firms or other conventional routes. Having investors means you have to give up some control over how your business is run. There are several legal rules you must follow. Some sites are all-or-nothing, so you may not be able to keep any money if you don’t meet your funding goal. Tip: Find the Right Professional Team. Navigating the waters of equity crowdfunding is, in theory, possible without the help of seasoned securities attorneys and licensed investment bankers, but the probability of successfully closing a deal and avoiding regulatory and legal mishaps is greatly enhanced with the right professional team. There is stark contrast in both risk and complexity when choosing equity crowdfunding over its more easily-launched and less heavily-scrutinized ‘rewards’ stepsister. Who It’s Best For: Established businesses whose owners have above average credit but want a loan quickly or have had difficulty qualifying for a bank loan. With debt crowdfunding, many different people loan money to your business. You must pay back the loan with interest within a certain period of time, usually 1 to 5 years. Debt Crowdfunding is sometimes also called Peer2Peer lending or Peer2Business lending. On most platforms, only business owners with good credit are eligible. This means you should have a credit score of at least 620 (check your credit score for free at Nav). Good credit is typically all you need if you just want a personal loan of up to $35K. If you want a larger loan or a business loan, those are typically only open to businesses that have been operating for at least 2 years. You should also have good credit and at least $75,000 in annual business revenues. Interest rates on crowdfunded loans generally range anywhere from 5 % for those with excellent credit to 30 % for those with average credit. Debt crowdfunding is actually the fastest way out of all the types of crowdfunding to obtain capital for your business–just answer a few questions about your business, and if you’re eligible, you can get funding in 1-2 weeks. Fit Small Business has a lot of resources for business owners interested in obtaining loans. Start here for a good overview of business loan options. You can get large amounts of capital, up to $500K. You can get money fast, typically in 1-2 weeks. Interest rates can be high, typically ranging from 5-30 % depending on your creditworthiness. In addition to interest rates, debt crowdfunding sites may charge origination fees or other fees. You have to sign a personal guarantee, and a lien may be placed on your business assets. This means the crowdfunding platform can come after your assets if the loan isn’t paid back on time. 1. Time Your Campaign Strategically. Before you can start raising money, the crowdfunding platform must approve your campaign. This can take a few days, so if you have a product launch coming up or want to raise your money by a certain date, factor that in when deciding when to list your campaign. Once you list your campaign, you’ll have to decide how long to keep your campaign open. There is different data out there, but in general, reward crowdfunding campaigns that last for fewer than 40 days are the most successful. Equity crowdfunding campaigns may take longer because more paperwork and money are involved. On debt crowdfunding sites, the platform will determine initial eligibility and list your loan for 1-2 weeks. During that time, investors can view your loan request and loan money. If your campaign is successfully funded, it can take up to 2 weeks to process all your backers’ payments and transfer them over to your bank account. Again, make sure you factor in this time period if you have a launch coming up. 2. Tell Your “Crowd” About Your Crowdfunding Campaign. It’s not enough to just start a crowdfunding campaign and sit back and wait. The most successful crowdfunding campaigns spread by word-of-mouth. Tell your family members and friends, Facebook friends, Twitter followers, and LinkedIn connections about your crowdfunding campaign before it goes live and once it’s live. Sometimes, local media will even publish stories about local crowdfunding campaigns. This is free marketing and PR for your business. There are even companies like Kickbooster which let you maximize word-of-mouth referrals. You can use them to pay people in your network a portion of the funds you raise for helping you spread the word about your crowdfunding campaign. 3. Tell a Compelling Story About Your Business. Crowdfunding has a very personal human element. While this is easy to forget since all the work is done through a computer, these are real people who are taking time out of their busy schedules to give you money. “Founder and CEO Carlos born and grew up in Guadalajara, Mexico eating his mom’s fresh tortillas. After high school he had the opportunity to travel to Canada to learn English, backpacked through Europe to discover new cultures, and went to college in Switzerland. Throughout his travels, Carlos could not find authentic Mexican food, neither in restaurants nor in supermarkets. The company then goes on to describe how flatev solves that frustration. 4. Invest in Professional Photos and/or Videos. Yes, we know. Looks shouldn’t matter. But on crowdfunding platforms, looks matter a lot. Investing some money now in professional photos or videos of your product or service will help convey your story and show potential backers that you are a credible business. This Indiegogo campaign for SpeedX Leopard, a road bike with technological control, is a great example of how good imagery can enhance a crowdfunding campaign. SpeedX raised over $2 million on Indiegogo. Remember, even if your crowdfunding campaign isn’t successful, you can use the photos and videos for your website. So the money won’t go to waste. 5. Know How Much You Money You Need to Raise. This might seem like a no-brainer. You can’t crowdfund without knowing how much money you need to raise. However, setting your crowdfunding goal can be tricky. You need to take into account the cost it takes to manufacture, market, sell, and ship your product. 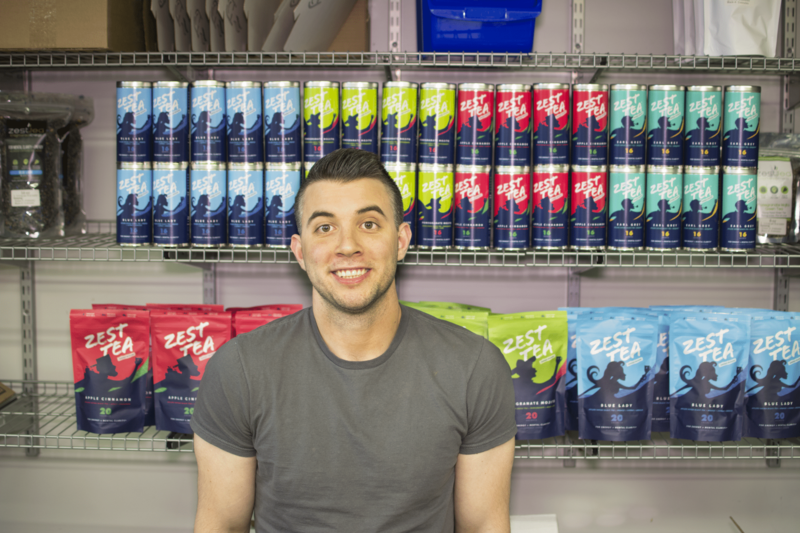 James Fayal, founder of Zest Tea, a producer of high-caffeine products. Zest Tea raised over $10K on reward crowdfunding site RocketHub. If you’re crowdfunding on a rewards platform like Kickstarter, you should obviously offer appealing rewards to increase the chances of a successful raise. Many times, potential backers will comment on your listing, and that can give you ideas as to what you should offer. Also, scale the rewards according to the level of support. Someone who contributes $500 to your business should get a bigger reward than someone who contributes only $50. Also, if are successful in raising money, communicate regularly with your backers. This is particularly important if your product launches later than expected because it can delay when backers receive their rewards. Backers are usually pretty understanding if your timeline changes as long as you communicate well. 7. If You’re Equity Crowdfunding, Get the Rules Right. Equity crowdfunding sometimes gets small businesses in trouble for not following SEC rules and regulations. Stay in the clear by understanding and complying with all the SEC rules. Consult with a lawyer if you’re in doubt. 8. If Debt Crowdfunding, Increase Your Credit Score. On debt crowdfunding platforms, your credit score is very important. It determines whether you’re even eligible to raise money as well as the interest rate you receive. For instance, the difference between a 650 credit score and a 750 credit score may be the difference between a 30 % and 10 % interest rate. That can save you thousands of dollars over time. Check your credit score for free at Nav if you’re unsure of what it is. Kickstarter: Kickstarter is one of the largest global reward crowdfunding sites. It’s open to almost anyone over 18 years old in the US and some European countries. Kickstarter, a self-described “platform for creative projects,” is a good way for design, technology, film, gaming, craft, music, and similar businesses to raise money. It’s an all-or-nothing platform, so you need to achieve your funding goal in order to receive any money. If a project is successfully funded, Kickstarter takes a 5% cut as its fee. There’s also an additional payment processing fee of 3-5 %. RocketHub: RocketHub is another large reward crowdfunding site. Like Kickstarter, most anyone who is 18 years old can list a campaign on RocketHub. Their scope is a bit broader than Kickstarter. While they do cater to creative professions, there are also a lot of other types of entrepreneurs on RocketHub. RocketHub says their average contribution per backer is $75. RocketHub is one of the few crowdfunding sites (along with Indiegogo, see below) that is not all-or-nothing. However, you will have to pay a larger fee if you don’t meet your goal. Businesses meeting their goal pay a 4 % fee plus a 4 % credit card processing charge. Businesses falling short pay a 8 % fee plus a 4 % credit card processing charge. Indiegogo: Indiegogo is currently the largest global crowdfunding site for creative and entrepreneurial ventures. Most people over 18 years old can crowdfund on Indiegogo. It offers both equity and reward crowdfunding. Indiegogo has some useful tools for fundraisers. For example, they will help you fulfill orders through their partnership with Amazon. Also, you can choose an all-or-nothing or flexible fundraising model. If you choose flexible, you can keep whatever money you raise even if it doesn’t surpass your goal. Very few other platforms allow you to keep money if you don’t reach your funding goal. The cost of Indiegogo is the same as Kickstarter. Indiegogo takes a 5 % cut of the funds you collect, and there’s an additional payment processing fee. Fundable: Fundable, like Indiegogo, allows both reward and equity crowdfunding. It’s an all-or-nothing model, and it’s specifically for businesses. Fundable doesn’t take a cut from funds you collect. Instead, they charge a flat monthly rate of $179 plus credit card processing fees. This makes them more budget-friendly for small businesses that are looking to raise a significant amount of money. Lending Club: Lending Club is a debt crowdfunding site that lets small businesses raise anywhere from $1,000 to $350,000. Personal loans are available for up to $35K. For larger amounts of capital, you can apply for a business loan. To be eligible for the personal loan, you need to have good credit. Same goes for the business loans — you need to have a credit score of at least 620, have been operating for at least 2 years, and have annual business revenues of at least $75,000. Interest rates range from 6.16 % to 35.89 % APR on personal loans and 9.77 % to 35.71 % APR on business loans. Your interest rate depends on your creditworthiness, the amount of money you’re borrowing, and your income level. You must provide a personal guarantee, and for business loans over $100K, a lien will be placed on business assets. Click here to read our full view of Lending Club business loans. Funding Circle: Funding Circle is another debt crowdfunding platform that provides business loans between $25,000 to $500,000. To qualify, you need at a minimum a credit score of 620 and an annual business revenues of $150,000, and you should have been operating for at least 2 years. The interest rates are similar to Lending Club’s, ranging from approximately 5 % to 28 % depending your creditworthiness, how much you’re borrowing, and the strength of the rest of your application. The loans require a lien on business assets and a personal guarantee. Click here to read our complete review of Funding Circle. Kickfurther: Kickfurther is another debt crowdfunding platform designed specifically for small businesses that need money to purchase inventory. Kickfurther approves most B2C businesses that have done at least one production run, sell goods with a shelf life of at least one year, and have a good social media and online presence. As its name suggests, Kickfurther is a good springboard for additional growth after a business successfully raises money on Kickstarter or another crowdfunding site. That’s not required though. When you list an offer on the site, you get to specify the interest rate that you will pay to your backers and the time it will take to pay them back. Other than Kickfurther, we don’t know of any other debt crowdfunding sites where you can choose the interest rate and repayment time. The average Kickfurther loan has a 10 % interest rate and is repaid in 6 months. Click here to read our full review of Kickfurther. Crowdfunding can be a great way to raise money for a new business or an established business. This guide shows you how to crowdfund your small business on a equity, debt, or reward crowdfunding platform. 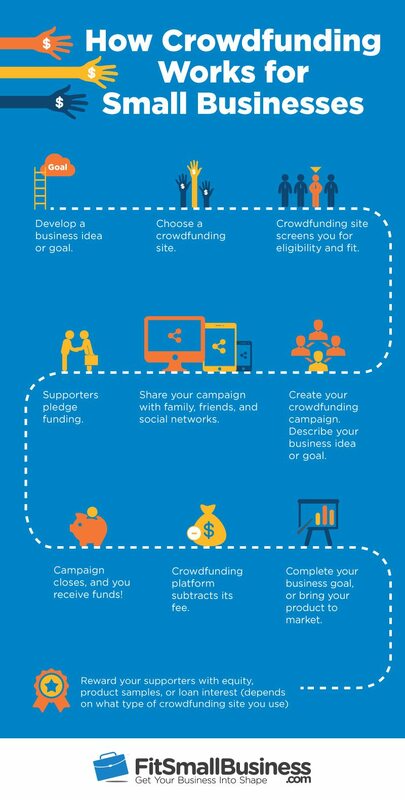 Before you jump in, make sure you understand these different types of crowdfunding and choose a platform that’s best suited for you and your business. Thank you for the information. I know that the goals that are completely funded in record times, are a special occasion. Maybe I should read through the article again, but I didn’t see if you gave an average campaign time. We’ll look to collect average campaign times from the companies for our next update of this article. Thanks for the suggestion! For inventory, you may want to keep Kickfurther in mind. They offer a really unique way for people to invest in your business by investing in your inventory. Let us know how things go?